Now any at-sea user, from day sailors to coastal cruisers and fishermen, can acquire and put to use the weather and ocean insights offered by GRIB data. 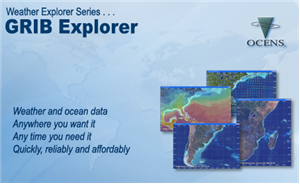 The GRIB Explorer GRIB viewing software allows you to view GRIB data like 500mb and sea surface heights the way they are meant to be viewed, in 3D. The updated version of the renowned GRIB reader includes new a plot options panel that allows users to more closely control how data is displayed. Users can set contour line intervals, number of contours displayed, and ranges as they relate to the data. All of these adjustments can be made on the fly while viewing the data, helping to pinpoint the information that is most important. GRIB Explorer 8 also sports an updated graphical menu bar and more background map images to choose from for displaying data over. GRIB data is special because of its size, information content, and versatility of use. Generated by weather and ocean models operating on national, regional and sometimes global scales, GRIB files associate an environmental variable with a geographic position. Because the resulting file consists of just a collection of these points they are extremely small and thus readily transferred over bandwidth limited satcoms, cell phones and other wireless devices. And the information content of GRIB data is awe-inspiring. 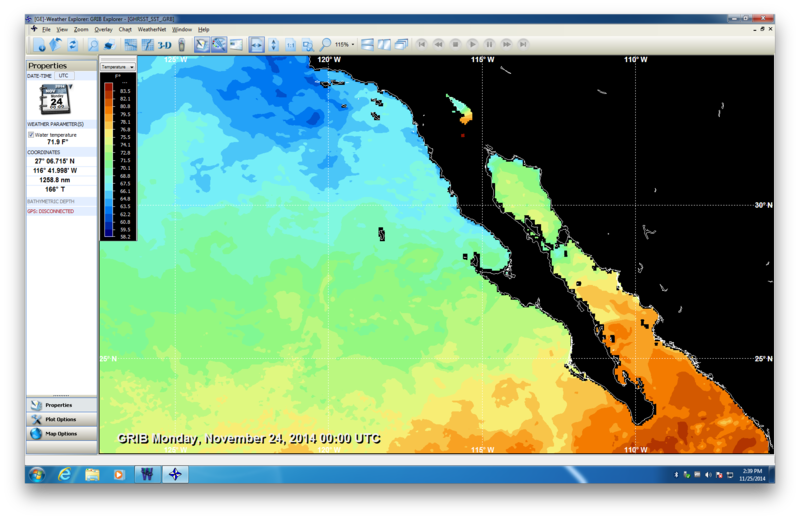 Almost every conceivable weather and ocean data variable is available in GRIB format. 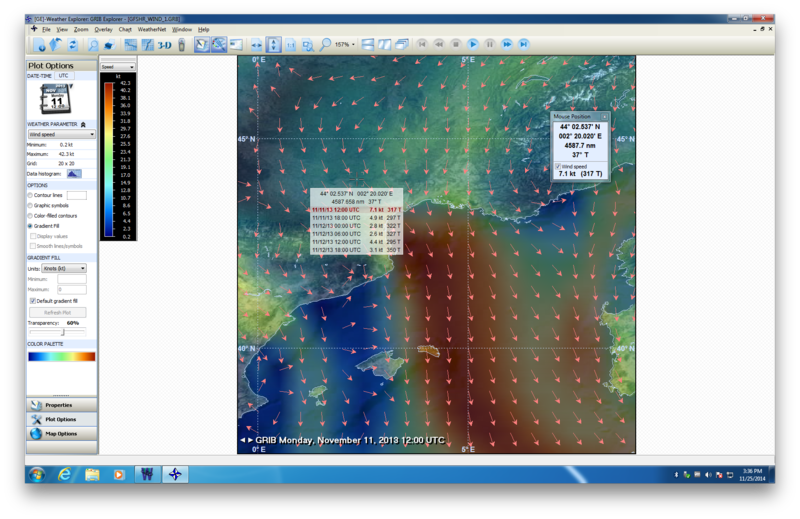 Surface pressure, wind, waves, swell, cloud cover, precipitation, sea temperature, currents, salinity, even sub-surface temperatures and mixed layer depths are available in GRIB format. In many cases, spatial resolutions reach as low as to 0.1 degree lat/lon and are available on a global basis. Lastly, the weather variables are forecasted out to 120 hours and longer so it is possible to use the data to view weather anticipated several days in advance. OCENS GRIB Explorer changes all that. With a simple, easy-to-use graphical user interface, GRIB Explorer places the power of GRIB data at your fingertips. Double-click on the GRIB file you have downloaded and it will instantly display your data in a very dynamic graphical format. The display can easily be changed to show contours lines, color filled contours, arrows or wind barbs, and even data point values. All of this allows relevant weather or ocean features to become much more evident. GRIB Explorer is so easy to use and powerful that customers opt to use in in lieu of viewing GRIB data with their existing GRIB viewing capable navigation software. How do I access GRIB data? Of course, being able to use GRIB Explorer to explore the power of GRIB data is pointless without a means of easily obtaining your GRIB data while at-sea. Fortunately, OCENS offers today's definitive weather delivery engine, WeatherNet. With over 20,000 GRIB files, WeatherNet carries the world's largest collection of GRIB weather and ocean data. Not only is the collection robust, but the WeatherNet delivery service drops those files onto your computer just seconds after your request through any satcomm, cell phone or wireless device. Once delivered, the synergy between OCENS WeatherNet and OCENS GRIB Explorer is clearly evident. Upon closing WeatherNet's File Transfer screen, GRIB Explorer launches immediately and begins to process and display your downloaded GRIB data. If you've downloaded a point forecast for a given GRIB variable, that file is displayed by itself. But if you've downloaded a series of forecasts, say from the analysis of present conditions out to 120 hours, GRIB Explorer kicks into animation mode automatically to put the weather in motion like you've never seen before. 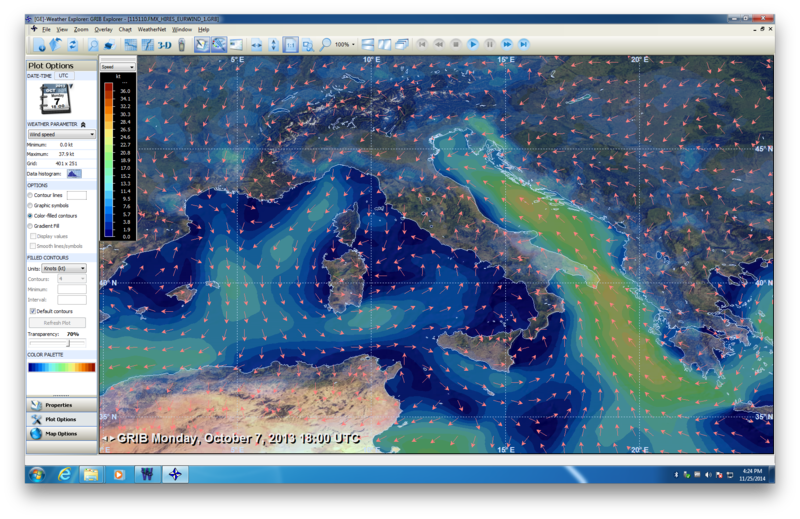 OCENS GRIB Explorer places you at the cutting edge of weather information processing. Buy it now and put to use the best available weather and ocean data for the critical decisions affecting your navigation and trip planning. Need the software or just want to trial it for three days? Download the file and save it to your desktop or other folder and then run it to install the software. If you are upgrading from a previous version - you must uninstall your previous version before installing this version. 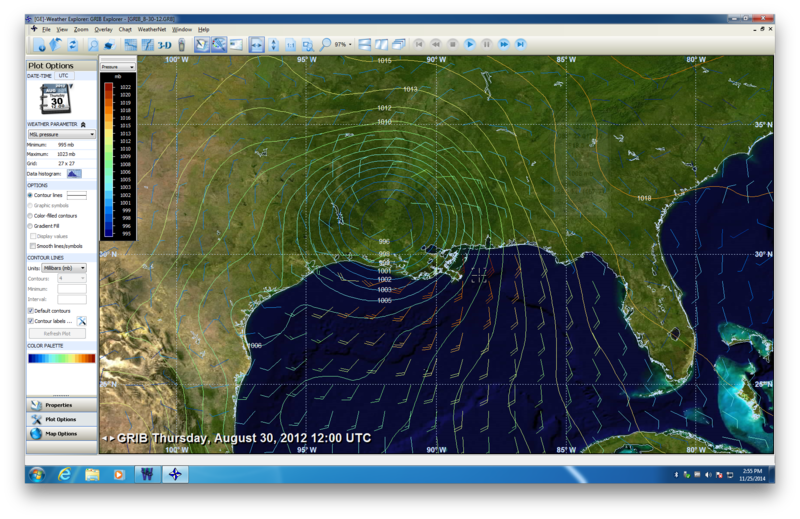 How to - access, use, and analyze weather products.